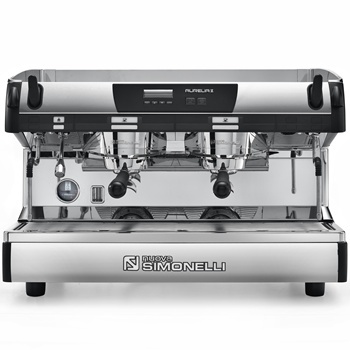 Commercial Traditional Espresso Machine in Dallas, Texas (TX) & New York City (NY) - Espresso RMI, Inc. Traditional espresso machines have a portofilter handle that you fill and lock into place on the brew group. They accept ground espresso and pods and are sometimes referred to as manual espresso machines. Traditional machines come with 1 to 4 brew heads depending on the mode. Adjustable shot sizes and steam output.